We partner with organizations that combine their technology expertise along with services to design and deploy sophisticated virtualization and cloud solutions to meet the technical and business needs of their customers. With Turbonomic, you can help customers maximize the ROI of their virtualized and cloud environments; build a high-margin revenue stream; and ensure that customers are well-positioned to achieve the agility that cloud computing offers. Competitive, Profitable Partner Programs: Deal protection, competitive discounts, special pricing margin protection, world-class sales tools and training…We offer the programs you need to maximize your revenue. Unrivalled Product in a Growing Market: By delivering your customers Workload Automation for Hybrid Cloud environments, you can optimize performance, cost, and compliance in real-time. Incremental Services Revenue: Open up incremental revenue streams and grow your Turbonomic footprint with your customer base by getting certified to sell you own services, support or training. Easy to work with: Working with us is simple, so you can concentrate on what’s important for your business. We give you the tools, resources and support you need to generate demand and increase your revenue. Founded in 1989, Applied Computer Solutions (ACS) specializes in helping clients align information technology, process and people with business goals. With over two decades of practical experience garnered in real-world business environments, we have delivered measurable results for a wide range of organizations, from small start-ups to Fortune 500 enterprises representing an equally diverse range of industries. In that time, we have solidified our reputation as a trusted advisor and single reliable source for a wide array of solutions backed by a breadth of technology and industry expertise. Since 2007, CAS (Content Archiving Solutions) has been a trusted partner, consulting organizations and helping them creatie a strategic path towards the next-generation IT infrastructure. From disaster recovery planning, to virtualization, to cloud solutions, CAS provides industry knowledge and best-in-class service. Computer Design & Integration (CDI) LLC, a nationally acclaimed and top-ranked IT solutions provider, offers clients and businesses of all sizes the latest and greatest hybrid IT technology solutions that solve today’s most complex business challenges. CDI LLC continually focuses on achieving the utmost respect from our clients by developing and implementing today’s most comprehensive and innovative technology solutions that best enhance our clients’ day-to-day workflow processes. As one of the largest solutions providers, CDI LLC combines the required experience, exceptional talent and quality assurance to help our customers achieve stability and success. CDW is a leading provider of technology solutions for business, government, education and healthcare. Ranked No. 38 on Forbes’ list of America’s Largest Private Companies, CDW features dedicated account managers who help customers choose the right technology products and services to best meet their unique needs. The company’s solution architects offer expertise in designing customized solutions, while its advanced technology engineers assist customers with the implementation and long-term management of those solutions. Areas of focus include software, network communications, notebooks/mobile devices, data storage, video monitors, desktops, and printers and solutions such as virtualization, collaboration, security, mobility, data center optimization and cloud computing. For more information visit: www.cdw.com. Dallas-based CompuCom Systems, Inc. is a leading provider of end-user enablement, service experience management, and cloud technology services to Fortune 1000 companies. CompuCom partners with enterprises to develop smarter ways they can work, grow and produce value for their business. Founded in 1987, privately held CompuCom has approximately 11,500 associates and supports more than 4 million end users in North America. CompuNet, Inc., is a leading IT Infrastructure Systems Integrator. We provide our customers superior end-to-end information technology solutions employing senior level, highly experienced engineering and account management teams. CompuNet can provide your business with a scalable solution that fits your budget and your needs. Cymbidium Systems was founded by former employees of one of the Pacific Northwest’s oldest VARs, as a next step in serving an established commercial customer base with boutique products and ‘concierge’ service. This has enabled Cymbidium to serve a 35 year legacy customer base combining Cymbidium’s services with world class products creating next generation networks. Data Blue was formed to redefine the Value Added Reseller space, offering both the customer and manufacturer something that’s a step above what is currently available in the marketplace. For more than 25 years, Datalink has helped customers apply technology that drives and supports their businesses. Our success in the technology services sector depends on, and is fully measured by, customer business outcomes. Govplace is a value-added reseller and systems integrator, exclusively focused on providing the public sector with best of breed technologies, services and solutions. We bring a unique combination of California-inspired innovation and beltway understanding into each engagement to ensure our federal customers are achieving measurable business and functional outcomes. Our strategic approach to partnerships is a product-selective method to ensure modernization and transformation of customer IT environments. We possess an expansive portfolio of contracting vehicles to deliver integrated product and service solutions that deliver exceptional mission results. Guided by a deep understanding of government contracting and reputable expertise of leading technologies and solutions, our core capabilities cover Cloud Computing & Infrastructure, Cyber Security & Privacy, as well as IT Automation & Orchestration. H.A Storage Systems, Inc. is a specialized value-added reseller of data storage and data management products and services. We solve complex business challenges by architecting and implementing forward-thinking technical solutions, while forming trusting, collaborative relationships. For more than a decade, we have provided clients with customized solutions focused on virtualization, storage, backup and networking from our highly experienced and certified engineering professionals whose extensive knowledge is rich in our core technologies. Contact us at www.hastorage.com. Our focus is simplifying the transition to new technology. We architect, integrate and evolve datacenter infrastructure by enhancing the utility of existing technology, while delivering advice for new solutions. We lead with a DevOps strategy, leveraging modern IT Converged and Hyper-Converged Architectures, Container Platforms, Automation, Open Source, Software Defined, and Cloud across the entire IT pipeline to provide operational insight and business agility. We facilitate digital transformation through IT modernization, allowing our customers to innovate, differentiate and accelerate their time to value. As a full-service technology enabler and a trusted advisor, HighVail listens with care, provides perspective and applies best practices to multi-vendor environments. HighVail has been in business since 2003. Based in Toronto, Canada, our culture is focused on integrity, trust, creativity, advocacy and, most importantly, client satisfaction. More than just a team, we are a closely-knit family of professionals who are passionate about delivering advice that empowers and technology that enables. Kovarus focuses on increasing IT efficiency for their clients by architecting and integrating business-aligned IT solutions. The company’s holistic approach to helping customers deliver IT-as-a-Service (ITaaS) focuses on the people, process, and technologies for enabling IT management and service delivery. This includes deep expertise in data center technologies, including: virtualization, server, storage, networking and cloud computing. Kovarus enables its customers to dramatically simplify their IT operating model and cost-effectively deliver the resources their organizations need to succeed in today’s highly competitive environment. Mark III Systems, Inc. is a leading enterprise IT solutions provider with a long, rich history of providing IT infrastructure solutions to a very diverse range of enterprise clients. Headquartered in Texas since 1995, Mark III has steadily grown from an IBM RS/6000 reseller to the oil & gas industry in the mid-1990s to a large, multidisciplinary solutions provider with enterprise clients of all sizes in almost every industry. MCPC delivers scalable solutions to host, secure and optimize an anyplace workspace® — helping clients empower their employees to work from anywhere, and on any device. The company is a top 100 technology VAR, driven by partnerships with providers including Turbonomic, Cisco, VMware, Citrix, NetApp, HP, Apple, Dell and Lenovo. Headquartered in Cleveland, and with branch locations across the United States, MCPc maintains practice areas in virtualization, personal systems, collaboration, borderless networks and support. Ncell provides business-technology solutions that make organizations more agile, efficient and productive. Our wide spectrum of products and services produce reliable, secure and scalable IT infrastructures that accelerate IT value and maximize ROI. Nebulaworks is a solutions integrator and IT consultancy focused on building enterprise clouds that work. With a background as consultants and engineers we founded the company setting out to challenge the status quo of business alignment and technology delivery – helping you gain IT agility and better support the changes in your business. NXGN, Inc is an emerging technology advisor and specialty value added re-seller with deep ties in Infrastructure and Security. NXGN’s executive and engineering teams are comprised of folks who have all been on the other side of the fence in major IT Functions at the enterprise level, including VP levels. This gives them a unique perspective on problems that enterprise faces on a day to day basis. NXGN specializes in leading edge technology companies that truly disrupt the way IT thinks and does its core function. Contact us at: nxgn.io. OnX Enterprise Solutions is a leading global provider of technology services and solutions. The company assesses, designs, builds, secures and manages complete technology environments with specific expertise in Next-Gen Data Center & Hybrid Cloud, IT-as-a-Service, Information Management & Analytics, and Digital & User Experience. For more than 30 years, OnX has helped clients achieve exceptional business results that accelerate their growth and value. OnX’s team of more than 600 IT professionals work at OnX offices throughout North America and in the U.K., with global headquarters in Toronto, Canada and U.S. headquarters in New York, NY. OnX is a privately held company and majority owned by Marlin Equity Partners. For more information about OnX and career opportunities, visit www.OnX.com. PC Connection, Inc., is a Fortune 1000 company with 2011 revenues of $2.1 billion. PC Connection, Inc. owns four sales companies: PC Connection Sales Corporation, MoreDirect, Inc., GovConnection, Inc. and Professional Computer Center, Inc. d/b/a ValCom Technology, headquartered in Merrimack, NH, Boca Raton, FL, Rockville, MD, and Itasca, IL, respectively. Razor Technology is a leading end-to-end Infrastructure solutions provider dedicated to helping organizations solve business challenges. We empower organizations to take a holistic approach to building intelligent solutions for their environment, whether it is on premises, in the Cloud, or a hybrid model. Our certified technical engineers design, plan, deliver, and support high performance and integrated solutions for some of the most demanding clients and data centers in the world. We partner directly with our clients to identify best-in-class solutions that will drive complexity out of your infrastructure, deliver flexible IT within the business, and provide the greatest return on investment for your organization. Red Sky Solutions is an IT engineering firm focused on architecting custom IT designs and reducing operational burden and costs for our clients. We specialize in expert-level consulting and implementation of security, networking, storage, application delivery, compute, and virtualization technologies. Our holistic approach to critical systems ensures seamless operation and support for your business requirements. Visit us online at goredsky.com. Founded in 1993, RTP Technology remains a premier integrator of technology solutions across a broad, diverse and growing base of customers. Our strategic partnerships with premier technology companies including NetApp, EMC, Cisco, VCE, HP, F5, Splunk, VMware and others allow us to deliver world-class IT outcomes that meet and exceed our customer’s business objectives. SHI International Corp., headquartered in Somerset, NJ, has transformed itself from a $1 million “software-only” regional reseller into a $4 billion+ global provider of technology products and services. Privately-held and under the guidance of its current ownership since 1989, SHI has experienced tremendous growth in size and scope through neither merger nor acquisition. Its organic growth and two decades of stability are a direct result of backing a highly-skilled, tenured sales force with software volume licensing experts, hardware procurement specialists and certified IT services professionals. We offer the perfect mix of business acumen and technical expertise to help large enterprises align their IT operations and management functions with their organizational objectives. Vision, our experience designing and integrating enterprise data center solutions gives our clients access to skills and expertise beyond their in-house IT teams and traditional resellers. Execution, our highly-trained professional services team configures and implements complex projects with hardware and software from multiple vendors and suppliers. Operations, our managed services team removes the burden of managing specific IT resources, allowing in-house IT teams to focus on more strategic initiatives. For more information visit: www.sigmasolinc.com/. strategic partners, delivered by the brightest minds in the business. SLAIT Consulting is an Information Technology consulting services company that specializes in delivering customized, creative IT solutions for customers in the commercial and public sector. Since 1990, SLAIT has been listening to our clients’ needs and onboarding skilled IT professionals to assist our clients with their toughest challenges. SLAIT’s service offerings span our clients’ requirements to consume services through models such as staffing, fixed service deliverables and projects, managed services, or outsourcing of projects and functions. SoftwareONE is a licensing solutions provider with the unique combination of being truly global, fully-focused on software licensing and privately-owned since 1985. Our software licensing experts take a consultative approach to helping customers optimize their software spend, while enhancing their relationships with software publishers and local service providers. As a leading North American provider of IT solutions and managed services, Softchoice combines the efficiency and reliability of a national IT supplier with the personal touch and technical expertise of a local solutions provider. Softchoice’s holistic approach to the technology includes solution design, implementation, asset management and cloud services, as well as access to one of the most comprehensive and cost-effective technology distribution networks in North America. With over 1,300 employees, Softchoice manages the technology needs of thousands of corporate and public sector organizations across the United States and Canada. For more information visit: http://www.softchoice.com/. Stoneworks Technologies Inc. our goal at Stoneworks is to enable our customers with power and knowledge to maximize on IT investments and make use of technology to meet any business challenge or opportunity. Contact us at: www.swti.ca. The Consulting Practice provides clients across North America with Efficiency and Security Focused Solutions. We provide advanced Products so that our clients can tackle challenges that may be impacting their organization. At Technologent, we place your specific business requirements and desired results at the center of each solution. Our primary goal is to simplify technology and focus on a solution, not just a product. TechXtend (formerly Programmer’s Paradise) is a value-added reseller of solutions for virtualization/cloud computing, storage and data management, business intelligence/information management, and mobile device management. The mission at Unitiv is to create and deliver valued services to assist corporations in more effectively achieving their business objectives. Venture Technologies is an IT Solutions Provider that delivers Premise Infrastructure Solutions, Collaboration Solutions and Cloud Services to both private and public sector organizations. Founded in 1986, the company operates locations in Alabama, Louisiana, Mississippi, Tennessee, and Texas. Venture owns and operates a Tier 3 Data Center (VTCloud®) in Jackson, Miss. from which it provides a comprehensive suite of cloud services to thousands of domestic and international customers. World Wide Technology, Inc. (WWT) is a leading Systems Integrator providing technology products, services, and supply chain solutions to customers around the globe. WWT understands today’s advanced technologies, including Unified Communications, Security, Data Center, Wireless Mobility and eCommerce. When properly planned, procured, and deployed, these business solutions reduce costs, increase profitability and ultimately improve a company’s ability to effectively serve their customers. Founded in 1990, WWT has grown from a small startup to a world-class organization exceeding $4 billion in revenue and over 1,700 highly trained employees. WWT continues to achieve consistent financial growth and provide our partners with uncommon strength and stability. For more information visit: www.wwt.com. ZAG Technical Services is a leading IT consulting, services, and solutions company with offices in San Jose, Salinas and Portland. ZAG has provided award-winning full service IT solutions since 1998 to organizations both large and small. For more than 21 years, Decatron has followed trajectory of success and healthy growth, Decatron has been active throughout the national territory, developing projects and solutions, implementing, managing and optimizing the IT processes. We have a highly qualified team focused on understanding the real needs and committed to results and high performance for our customers. Decatron understands the needs and business objectives of each client and designs and implements solutions using the best technologies and services to meet those needs. Contact us at: www.decatron.com.br. LEADCOMM is a unique player in the technology market, thanks to the construction of a solid portfolio composed of the best world-class performance and security solutions. Our customers are very special companies, leaders in their segments, who share the view and belief in the power of a well-structured and modern IT infrastructure. For more information visit: www.leadcomm.com.br. Performen is a Professional Services Company based in Buenos Aires. The company works alongside Latin-American companies to improve their agility and productivity by helping them to identify and effectively solve performance problems. Performen partners with industry-leading technology solutions to help its clients analyze and optimize application performance based on end-user experience. Performen’s management team has more than 20 years of experience working within IT services for a number of telecommunications and financial services enterprises, along with major Internet Service Providers. Contact us at: www.performen.com.ar/. 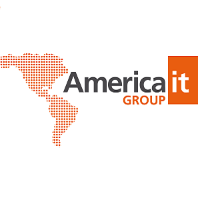 America Group SRL SRL is a leader in IT solutions in Argentina , provides advanced technology solutions to enable their local and regional customers grow their businesses. With over 15 years experience in the market , we offer a variety of products and services with the highest performance and quality that characterizes us. We are experts in virtualization. Wetcom is a private held company leader in virtualization, cloud computing solutions and Professional Services in Latin America. With main presence in Argentina and Chile, Wetcom represents the excellence in professional services practice, accelerating the adoption of new technologies in the enterprises. For more information visit: www.wetcom.com. BIGTEC is the value added distributor for datacentre transformation. As enterprises look to increase the performance and flexibility of their core IT and data assets, while streamlining expenditure into an OPEX model, BigTec helps its partners harness the opportunities from new cloud architectures and virtualised datacentre functions that are progressively more web-scale and software-defined. The evolution to full virtualisation of complex IT functions is embodied by BigTec’s enterprise transformation framework guiding reseller partners and their customers from physical to hybrid and virtual datacentre environments. Logicalis SMC is the IT4IT powerhouse that transforms IT organisations into dynamic, agile service providers. They achieve that by enabling IT professionals, processes, tools and external IT vendors to work coherently, giving CIOs a firm grip on their service provision and enabling them to support the business proactively with innovative services. They draw up a new blueprint for the IT department, streamline and automate the primary processes using best practices and support personnel during the transformation process. Moviri is a leading provider in IT Performance & Optimization solutions and consulting services. Moviri Services practice areas span Capacity Management, Digital Optimization, Analytics & Big Data and Security. For more than a decade, Moviri has delivered hundreds of successful projects, supporting critical enterprise initiatives in virtualization, cloud computing, capacity optimization and service management, and it has developed software products that address critical customer needs in capacity planning and digital content discovery. Softcat is a leading UK reseller and IT infrastructure provider, delivering a vast array of services across software, hardware, and the cloud. A company that defies labels with its versatility, Softcat is well-known for its affordable commodity sourcing, offering the eCAT platform. It is award-winning for both its performance and value as a partner. Testwise is a Test & Measurement , IT , Embedded & Industrial Computing manufacturer’s representative innovative technology solution provider to the telecommunication industry.We primarily focus on delivering Test and Measurement solutions to the Lab and to the Field with unmatched customer service and support. Veeras Infotek is a systems integration company focusing on infrastructure integration and information integrity solutions. We create,manage,maintain and optimize a securely available information infrastructure. Contact us at: http://www.veeras.com/.